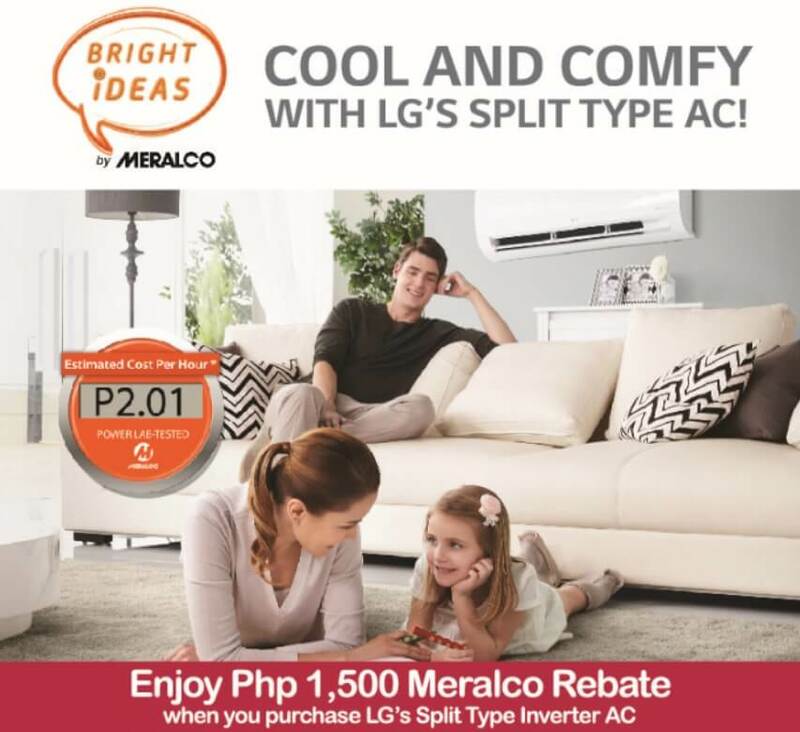 LG Electronics Philippines has partnered with Meralco’s Bright Ideas Program to give a Php1,500 rebate to customers who buy LG’s Standard Inverter, and Premium Inverter air conditioner models at LG concept stores and participating dealers. Empowering residential customers in managing their electricity consumption and realizing an improved lifestyle, the rebate will be applied to the customer’s Meralco electricity bill for each purchase of the participating products. LG’s residential air conditioners, particularly the Single Split Inverter, have energy-saving technology that lets users enjoy a cool homely ambiance throughout the day, without worrying about high electricity consumption. The Inverter AC’s innovative air flow design also makes it quiet, cool, pleasant, and comfortable indoor air conditioning solution. Stylishly designed, it sports features like Mosquito Away, Active Energy Control, and allergy reduction filters. “LG has been creating technology to make life good. In our 70th year, we want to thank our customers once more by offering a rebate for each purchase of select models of our Inverter aircon,” Inkwun Heo, LG Electronics Philippines Managing Director, said. Available for cash and credit card purchases, the promo runs until June 30.